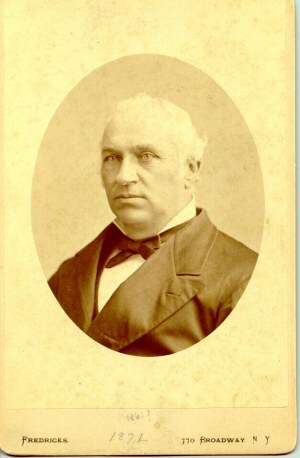 Henry Baldwin began practicing law under Alexander Dallas in Philadelphia before coming to Meadville as a deputy attorney general (now called district attorney) in the first years of the 19th century. 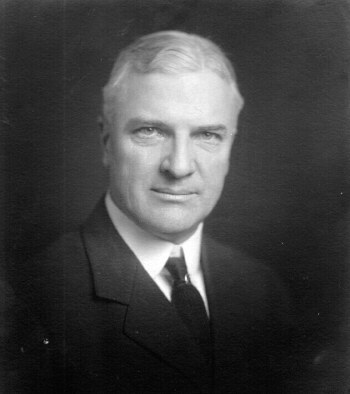 He served in this role for several years before moving to Pittsburgh to try his hand in iron foundries and eventually becoming a member of the United States House of Representatives representing the 14th District. Baldwin quickly rose to national prominence as one of the few representatives who would defend Andrew Jackson’s invasion of Florida during the First Seminole War in 1818. 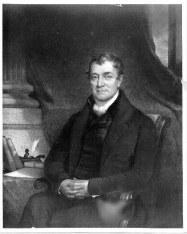 Baldwin became a rather famous national politician and was a major player in Jackson’s winning the 1828 presidential election in Pennsylvania. Baldwin hoped for the Secretary of the Treasury position, but found himself passed over for this job. When Supreme Court Justice Bushrod Washington died in 1829, Jackson appointed Henry Baldwin to fill the position. Confirmed in two days, Baldwin remained on the bench until his death. 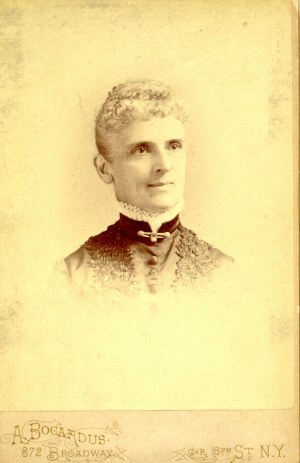 As Henry Baldwin aged, he and Sarah (Ellicott) Baldwin decided to settle down closer to friends in Meadville, the place of Henry’s early career and “Sally’s” siblings, when court was not in session. The 64 year old Baldwin, upon visiting his son, fell in love with a house in Tennessee known as “Hunter Hill,” drawing plans to this house to bring with him back to Meadville, where in 1842 he and his wife settled on a 24 ½ acre estate on Terrace Street. The property chosen was previously owned by Revolutionary War veteran, Samuel Lord, who affectionately called his home “Mount Hope,” a name that has lived on as the street name for the road near the rear of the museum. Lord lost the property to sheriff sale in 1838, upon which time family owned the lot until the Baldwin’s arrival in 1842. The deed books from Crawford County show the following in their 1842 transactions. The reason for Sally Baldwin to hold sole ownership of this property can best be speculated on relating to Baldwin’s poor finances. For much of Baldwin’s adult life, he was wavering between prosperity and financial ruin. The Baldwin’s began to build their dream home in 1842 upon purchase of this property and by late summer of 1843, were able to move in. The two story Greek Revival mansion was the quintessential southern home- located in Northwestern Pennsylvania. Called the “Mount Vernon of Meadville” in the local newspaper (in 1938), Baldwin’s dream house was not even complete before he suddenly died while closing up his law office in Philadelphia on April 21, 1844. With almost no money to his name, friends paid for a modest funeral and Baldwin was buried in Oak Hill Cemetery in Washington, D.C. The Supreme Court Justice had not lived in his home a year, when the Baldwin’s legacy at their new home ended. Upon her husband’s death, Sally Baldwin decided against living in the home she and Henry built. In 1844, she leased the property to the Meadville Female Seminary to be used as a girl’s finishing school. French was taught as well as the basic subjects and many extras including botany in the house’s gardens. Within three years, the school followed in its namesake’s footsteps, and The Baldwin Institute was in search for a smaller building in Meadville, hoping to find a more affordable home as they attempted to keep their academy in operation. The estate was turned back over to Baldwin’s widow in 1847. 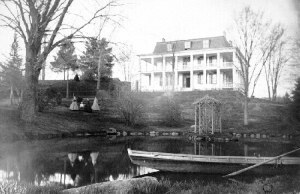 The house was returned to Sally Baldwin in 1847, upon which time she deeded the original 24 ½ acres along with an additional 38 acres she purchased that year to her nephew, William Reynolds. Reynolds, a graduate of Allegheny College and Pittsburgh attorney moved his wife Julia and one year old daughter Frances to Meadville that year and was quickly enveloped in the community. Reynolds was a pillar in the community, serving as one of the most influential business men in town. One time President of the Meadville Gas and Water Company, his was the first house in Meadville to receive natural gas lighting. Reynolds also served as the first President of the Atlantic and Great Western Railroad and one of its founders. He was the last burgess of Meadville and the city’s first mayor. William and Julia spent many of their early years in the house remodeling the southern style plantation into their dream Victorian home. Pine woodwork was removed and replaced with black walnut, parquet floors were added over the existing pine, and new fireplaces, a library, and solarium were added. The most extensive renovation was the addition of a full third floor for both children’s’ bedrooms and servants’ quarters. William and Julia were revered as members of the community and had a total of four children. The couple passed away in early 1911 a week apart, living in their home for over 60 years. Upon their death, William and Julia Reynolds left their home and most of its contents to John Earle Reynolds, the youngest of their four children. A bachelor in his 50s, John married his longtime love, Katherine Shryock in May 1911, just months after his parents’ death. The couple took a year long honeymoon to Europe and Asia, visible from the 1912 Belgian wallpaper in the dining room, as well as other artifacts throughout the museum. John Earle did his best to follow in his father’s footsteps. A three term mayor of Meadville, as well as the President and Chairman of Merchant’s Bank of Meadville, he did his best to keep busy. Katherine was very active in the American Red Cross and was a charter member of the Meadville Garden Club. John and Katherine were the ideal socialites in Meadville and examples of true elegance. After John’s death in 1947, Katherine remained in the house until her death in 1963, willing a public sale and the house put on market. The Crawford County Historical Society purchased the property in 1963 through the generous support of both Talon Zipper Company and the community at large. It was transformed into a house museum, displaying much of the Baldwin and Reynolds family furnishings as well as domestic artifacts from the people of Crawford County. The Museum is owned by the Crawford County Historical Society.